EVERETT, Mass. — Anyone who has visited Down The Road’s taproom in Everett has seen (and probably played) the brewery’s impressive collection of pinball machines. Although many DTR beers have a folklore theme, it makes sense to brew a pinball-themed beer to complement the dazzling arcade. 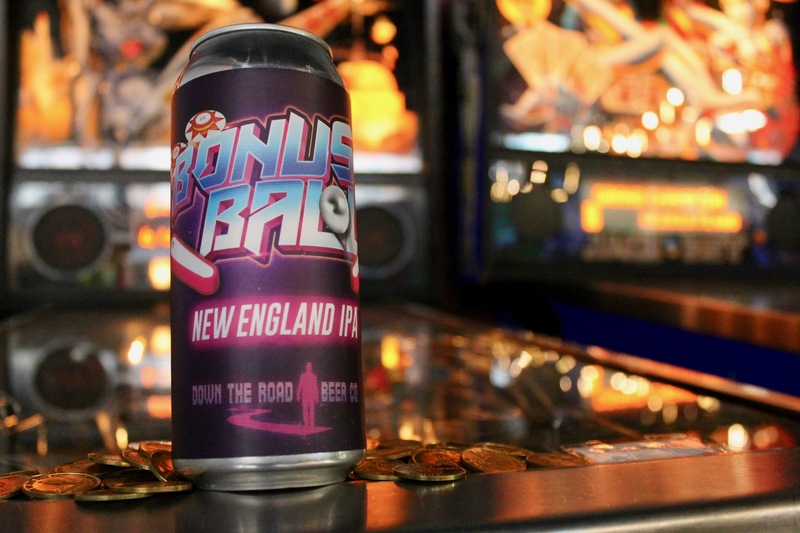 Introducing: Bonus Ball New England IPA. 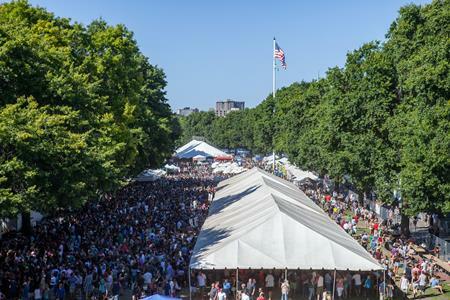 New England IPAs have exploded in popularity over the past three years, and they were recently acknowledged by the BJCP as an official style. These hoppy juice-bombs stand in stark contrast to the bitter-forward IPAs of the West Coast that struck the spark of the American craft beer renaissance. Rather than amplify as many IBUs as possible, New England-style IPAs tend to run a bit sweeter with intense hop aroma and a creamy mouthfeel. Bonus Ball is a quintessential NEIPA. Clocking in at a smooth 6.8% ABV, Bonus Ball hits the fruit jackpot with Huell Melon, Grungeist and Hallertau Mittlefruh, all German aromatic hops that “throw some awesome stone fruit, and citrus fruit notes” according to lead production brewer, Isaiah Reynolds. The beer pours hazy and positively radiant thanks to a protein-laden grain bill with flaked oats and wheat, which also produces a creamy mouthfeel and smooth, refreshing finish. Down The Road releases the Bonus Ball on Friday, August 17, 2018 at the Everett taproom on draft and to go in four-pack, 16-oz. cans. Case purchases will be limited to one per person, and supply is limited. Inspired craft beer across a wide spectrum of styles. Now available in our expansive Everett, MA, taproom, complete with retro pinball arcade.